Straight to the source, helping adolescents help themselves. Always be open to new understanding. From friends to feelings, the SEAD Program helps adolescents & young adults traverse the world of social and emotional development through online modules. 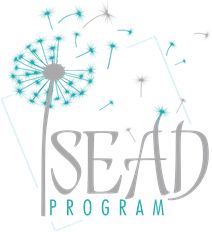 The SEAD program will empower adolescents and young adults to become active participants in their social and emotional learning. Research has found that there are limited opportunities for adolescents and young adults to learn about specific social and emotional topics. The SEAD Program allows adolescents and young adults to utilize a platform that is easy and engaging for them to build capacity in an area that is relevant to their specific needs. It can be individualized as well as offered in a group setting with discussions and follow-up. The program is an entry point for adolescents and young adults to build a foundation of understanding regarding social and emotional topics that are relevant to them. To purchase a one-year family subscription for the low cost of $29.99, click on the Buy Now! button. Each video shares an overview of the specific topic, strategies to deal with issues that arise and resources to learn more about the topic and receive support. Every video explicitly states the importance of speaking with a trusted adult regarding any concerns. Topics include anxiety, perfectionism, resiliency & mindset, depression, emotional intelligence, and stress. Topics include citizenship & service learning, organization, and communication. Topics include internships and mentorships, career choices and interest exploration. *Click on the LOGIN NOW button to purchase a family subscription or to enter your group subscription code. active participants in their social and emotional learning. The SEAD program grew out of necessity. Dr. Jessica Howard & Dr. Allen Golden worked with adolescents and college age students in different cities with different demographics, but were finding that both populations had similar needs that were not being addressed. This realization resulted in Dr. Howard & Dr. Golden engaging in separate research projects to explore the social & emotional needs of secondary students and young adults. Through their research, they both found that adolescents and young adults do not have many opportunities to build a foundation of social & emotional learning, especially in an individual way. The mission of the SEAD Program is to touch as many adolescents and young adults as possible using an easily accessible and engaging platform. Logistically it is difficult, if not impossible, for counselors at the middle school, high school, and college level to reach every student to share information regarding social and emotional topics that pertain to each student. The SEAD Program allows for individualized learning that can be followed up with additional support when necessary. The SEAD program can also be offered in a group setting with discussions and follow-up. The SEAD Program will also support students on Advanced Learning Plans (ALPs) as they prepare to create their required affective goals. Research has found that the majority of secondary students do not have any guidance prior to being asked to write an affective goal, which often makes the goal a meaningless act. Using the SEAD Program, students can choose to learn about a topic that is relevant to them prior to writing their affective goal. Dr. Howard created this program to allow students to be in charge of their own learning. This program is not meant to take the place of group discussion and counseling, but to empower students and build their capacity so they know what support they need. The SEAD program is a cost-effective way to share social & emotional learning (SEL) information with a large population of students. It is easy to access and easy to use. This program will give students a foundation to build on and supports positive social & emotional development. Pricing is based on enrollment numbers and students will have unlimited access to the videos for the entire school year. There will also be an individual (family) subscription available through the website. On-site professional development is available. Please contact us for availability and pricing. Teacher and parent resources will be available in the near future. As a student headed to college, it’s easy to become anxious and overwhelmed by the unknown. The SEAD Program helps me identify those feelings and work through the hard times. The videos are a wonderful tool to assist me in my college journey and I love learning new ways to help relieve my stress and resolve my procrastination tendencies. The SEAD Program was a positive and user friendly approach to navigating the social/emotional needs of our teenager. We were able to watch the tutorials individually and then discuss next steps and/or further resources we wanted to explore. Our teen came away from tutorial sessions with the realization that she was not 'the only one' and with feelings of validation regarding emotional intelligence and perfectionism. Once a member, the videos are available for reference throughout the year for check-ins and focusing on the growth mindset. We look forward to using further tutorials throughout the year. Our team brings a wealth of experience in the area of social & emotional development. Dr. Jessica Howard grew up in Fort Collins and attended CSU as an undergraduate. She received a Masters in Educational Psychology from CU-Boulder and a second Masters in Elementary Education from Regis University. 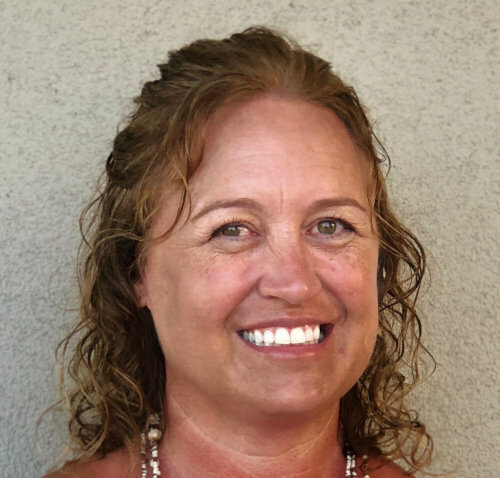 She has been teaching children and adults for over 20 years and completed her Doctorate in Curriculum & Instruction specializing in Gifted Education at the University of Denver. She has worked in the gifted education office at the Colorado Department of Education as well as in the special education and gifted education departments at Jeffco Public Schools. She has also worked at Lindamood-Bell Learning Processes, National Jewish Hospital, and in private practice. Her diverse career includes work as a classroom teacher, gifted education specialist, special education teacher, reading specialist, instructional coach, curriculum specialist, and family advocate. Much of Dr. Howard's work is focused in the area of social-emotional needs of children, adolescents, and young adults. Her most important job has been raising her 3 children. She has identical twin daughters and an older son with her husband, Erik. In her free time, Dr. Howard enjoys spending time with her family in the mountains or at the beach, watching her kids play sports, photography, and snowboarding. Dr. Allen Golden has enjoyed working with students in a number of different settings for more than 15 years. He has been a teacher, counselor, and administrator in a number of school districts around the state, including several rural schools. Throughout his career, Allen has enjoyed working with adolescents and helping them meet their social and emotional needs. He recently completed his doctorate through the University of Denver, writing his dissertation about the importance of meeting the affective needs of gifted adolescents. 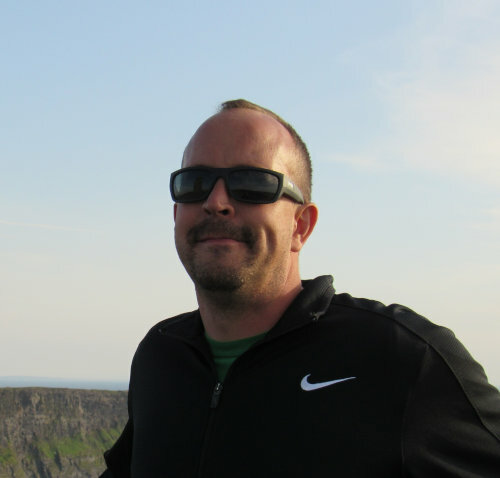 Allen is a Native Coloradoan and enjoys spending as much time as possible exploring the mountains. Please feel free to use the form below to get in touch with us. © 2019 The SEAD Program LLC. The SEAD Program operates the https://theseadprogram.com website, which provides the SERVICE. This page is used to inform website visitors regarding our policies with the collection, use, and disclosure of Personal Information if anyone decided to use our Service, The SEAD Program website.